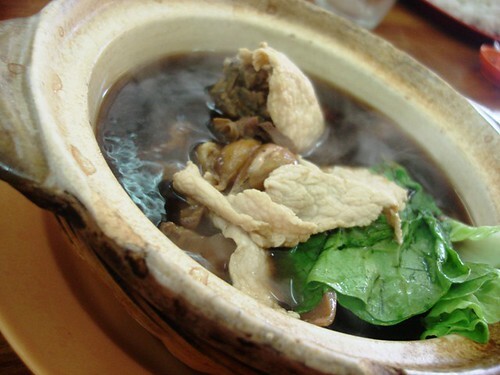 I thought we were going to start Jason’s Day 2 with bak kut teh for breakfast. 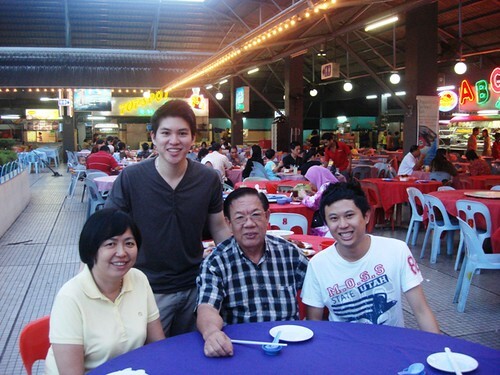 But Jason said that bak kut teh was more of a lunch thing, and my parents were eager to let the boys sample some foochow delights. 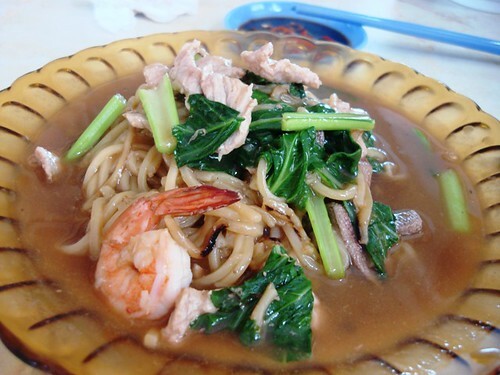 So breakfast was ‘cha zhu mee’ , a foochow soupy noodle. I ordered the original foochow noodles which tastes quite similar to the char zhu mee only it’s less soupy. 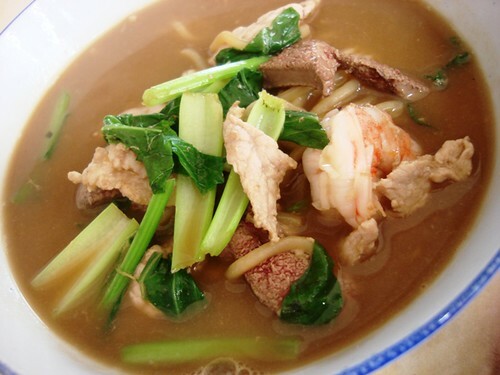 Surprisingly the boys liked ‘zhao chai hong gan’ best with Jason saying that it was very appetizing. 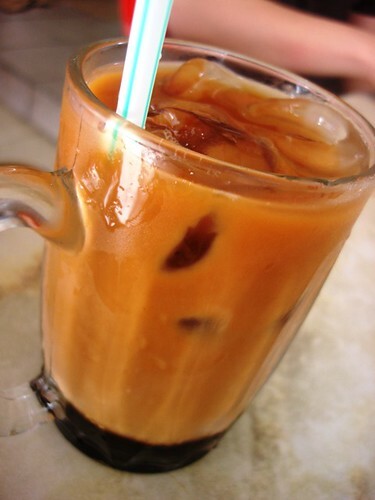 Jason had the Teh C Special, come to think of it, I haven’t had any Teh C Pengs since I’ve been back, I’ve been drinking kopi everyday, oh no, I’m really a caffeine addict now. 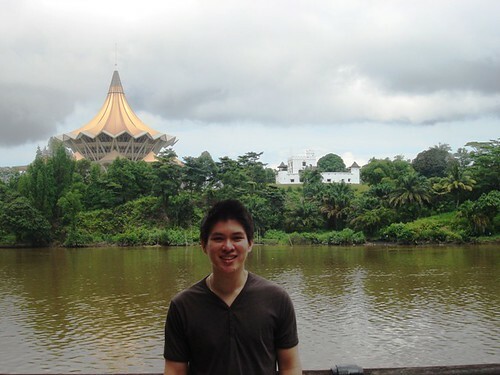 On the way home we stopped by the waterfront and the boys took pictures in front of the new State Assembly building and Sarawak river. It was a hot day but it was cooling and windy on my front porch. 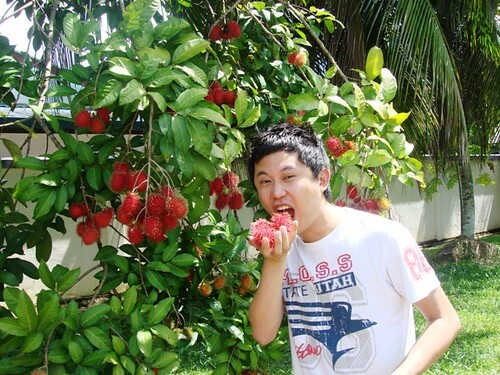 Jason finally ate some of the rambutans that my father had been saving for him from our garden. Lunch! Jason’s long awaited bak kut teh. 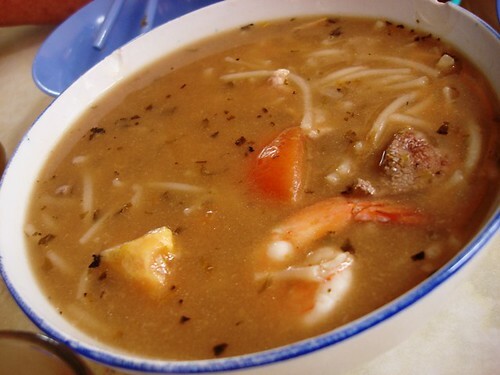 Bryan’s request for Kuching was ‘kolo mee’, Jason’s consisted of two things ‘bak kut teh’ and ‘starfruit juice’. 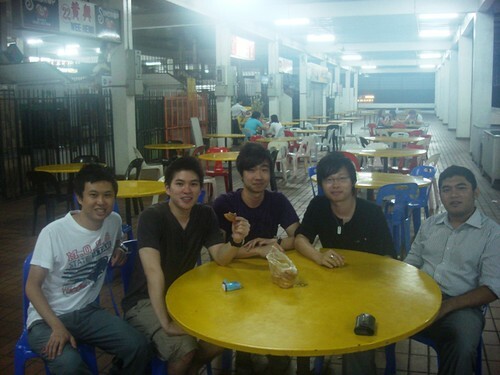 Jason fell in love with bak kut teh during his last trip to Kuching 6 years ago, so we fulfilled his wish and brought him for our favourite bak kut teh. 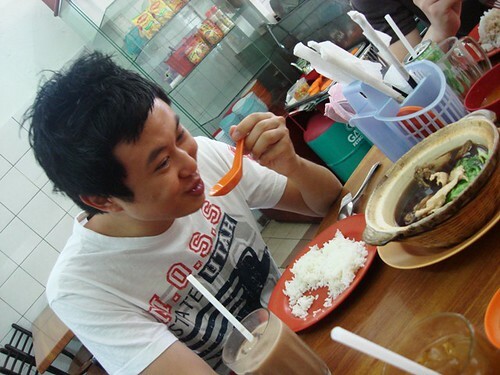 See, happy bak kut teh eating person! Hahaha. 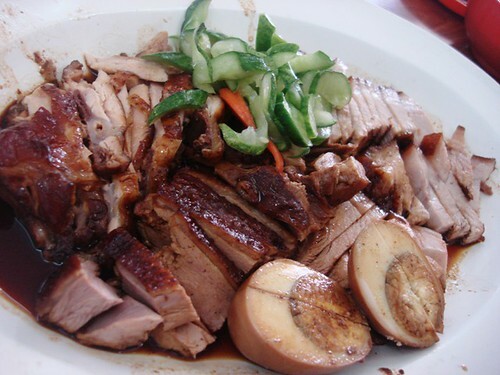 We didn’t just have bak kut teh, the kopitiam that we go to also served good pork leg rice which we usually order with duck and if Jo is around, an extra egg. 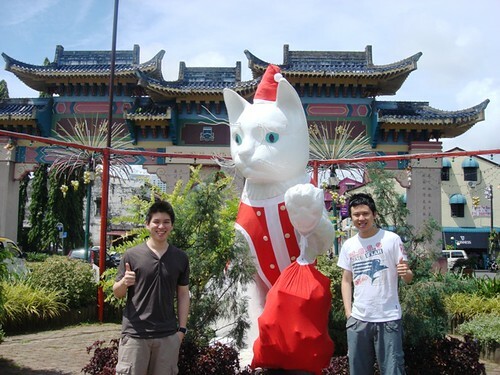 The eating didn’t stop there, it never stops in Kuching actually. Dinner was seafood at Top Spot. Asrul arrived just as the food was being served and joined us for dinner. 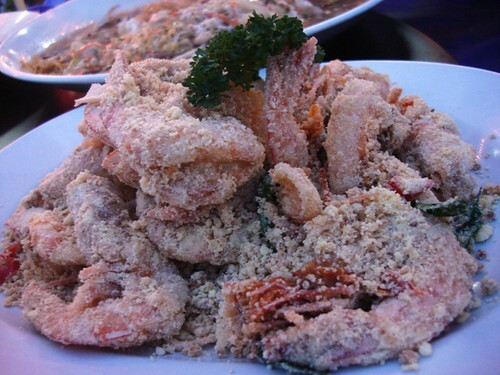 We ate all the seafood classics, butter prawns which Jason loves. 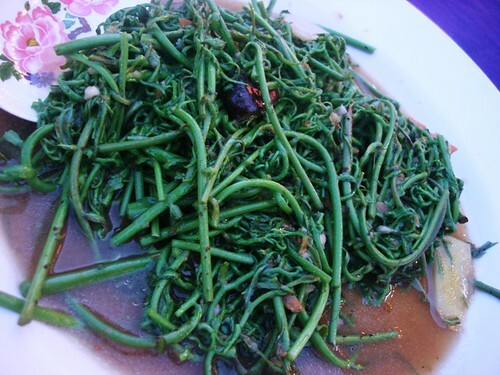 Local veg midin with sambal which is always a huge hit and must order in Kuching. 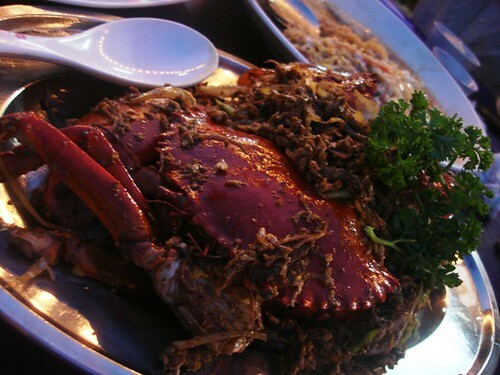 Joanne’s favourite crabs cooked with egg. We had a bit of trouble finishing this one, everyone kept saying ‘if only Joanne was here!’ Obviously Joanne = crab queen. 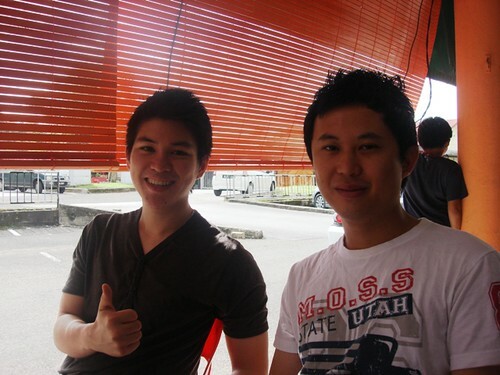 Jan and Andy will be happy to know that there are lots of karaoke joints in Kuching now. We went to the one on top of Crown Square. Even though we always tease Asrul about his less than melodious singing, I must admit, it was really nice to hear him singing that night. When all the singing was over, we headed over to the Petanak market for some late night drinks. 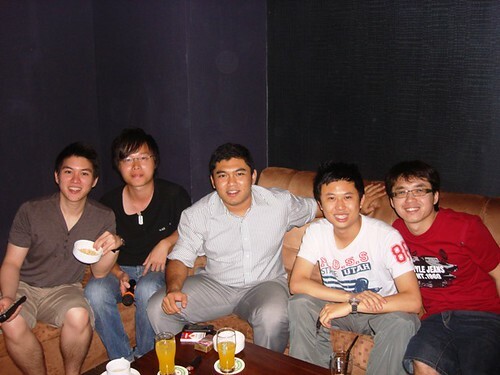 It was surreal being with the boys that I usually hang out with in Perth only we were all in Kuching! Surely a once in a lifetime memory? Jason left for Hongkong this morning to continue his Christmas holidays. I hope you had a nice time in Kuching Jaso, I’m sorry I got sick during the last couple of days and couldn’t show you around.I hope this marathon of bak kut teh can last you till your next return to Kuching!